2111 Vilas has a large screen plasma television. 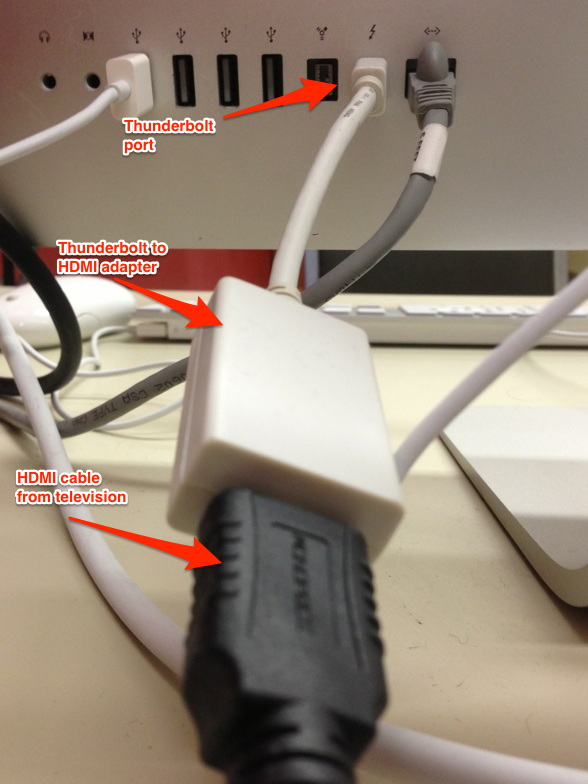 This display is connected to the instructor iMac at the front of the room but there is also an available VGA connector to connect laptops or other devices. To use the plasma display power it on using the button on the television or the red power button on the upper left of the remote. 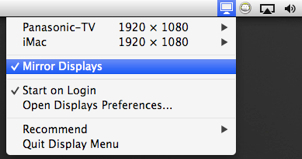 When using the instructor iMac ensure the HDMI 1 source is selected. 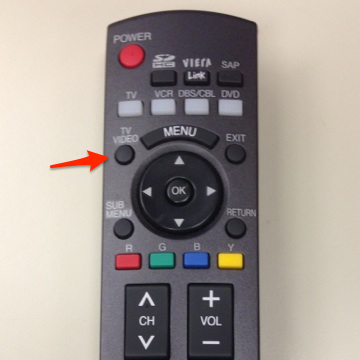 To do this press the TV VIDEO button on the remote until that source is highlighted. 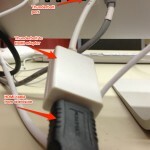 If using the VGA connection ensure the PC source is selected and your computer is connected to the VGA cable on the instructor desk. Audio can be routed to the television by plugging the 3.5mm audio cable in to your device’s headphone or audio out port. Is the television powered on? Are all cables properly connected? The instructor iMac should be connected via HDMI in the back of the iMac. The connection should look like the image below (click the image to enlarge). Other devices should be connected to the available VGA cable. Is the correct video source selected? Display mirroring needs to be turned on. On the instructor iMac click the display icon in the menubar and select Mirror Displays. 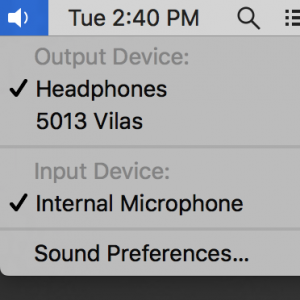 If you have no audio coming from your device hold down the option key and click the volume icon in your menubar to select the correct audio device.